Demon Caught On Camera Chasing A Deer. This winged demon was reported by Strange Mysteries YouTube channel. 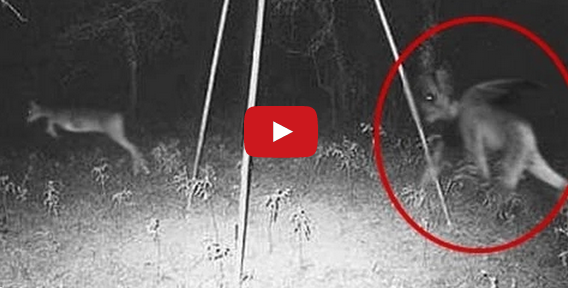 This “creature” was caught in a photograph taken in the woods. This sort of winged demon, ghost, alien or something, is seen chasing after this deer in the middle of the night. The question has been raised whether or not it is real. At a quick glance, the blurriness of the true subject in motion remains the same as the “creature” in the frame. To the naked eye it is difficult to determine its authenticity. What in the world could have wings so small that it would be impossible for it to take flight? Take a look at the video below and see what you think! Share the video and share your thoughts! This Woman Thought She Had A Tumor, But What It Really Was Will Give You Nightmares!